We are a leading Travel / Travel Agents / Transportation Services of kamakshi amman temple holiday packages and madras (chennai) holiday packages from New Delhi, India. The "Golden City", is one of the most sacred seven cities of ancient India, for both the devotees of Shiva and of Vishnu. An ancient religious center for Buddhism, the only holy village of the South houses nearly 100 very beautiful temples. The temple of Kailashanath, built in the beginning of the 8th century is dedicated to Shiva and is known for its beautiful sculptures. 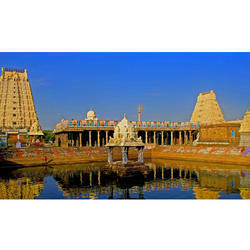 Kanchipuram is famous in India for the quality of its silk and hand woven saris. Their beautiful color schemes are strong competitors to the saris of Benaras. 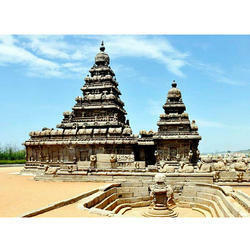 Chennai, the capital of the State of Tamil Nadu is an immense and bustling metropolis. The majority of its inhabitants are Tamils. It is one of the four big cities of contemporary India. The Mount road links the St. George Fort, a 17th century building which resembles more an administrative city than a fortress, to the government museum which houses ethnological and archeological collections (exquisite collection of bronze). Farther on, the Kapaleeshwarar temple, a vast sanctuary on the banks of a lake, is dedicated to Shiva. The mount St. Thomas is the place where the apostle St. Thomas had taken his last breath; at the top there is a small church built by the Portuguese in 1547.